These are collectable troll pencils. 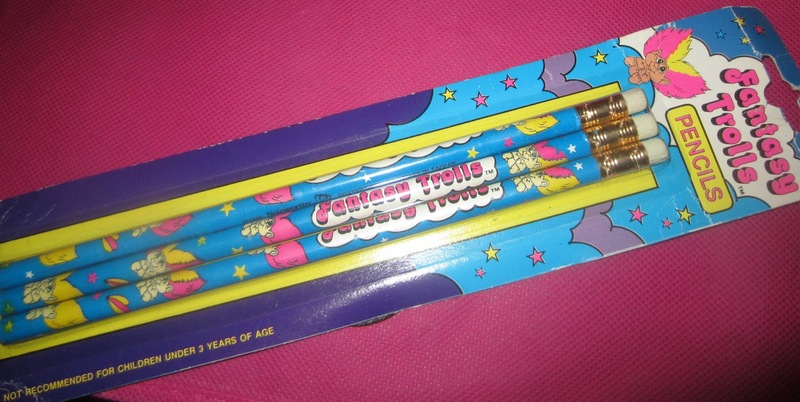 I remember at school in the 2nd grade they used to have a cart a lady pushed around each morning and kids could buy a pencil for a quarter and I used to buy troll pencils. So I really love that I had the opportunity to find these and add them to my troll collection.